← quick, #nanowrimo day 2 starts in 5 minutes! Help! I’m Unemployed and Feeling Worthless!! “Help! I’m Unemployed and Feeling Worthless! !” Is what I felt a lot since I was “laid off” from my job in August (not enough work for me). But there have been times in the last few weeks (maybe just over a month) where I’ve really started to feel okay as a human being- reaffirming to myself that it is not my job that makes me important or “good” as a human. I’m more than my job, or lack thereof. But a lot of people identify heavily with their job and gain self-esteem and self-worth from it. An article the LA Times posted just in September talked about this recession spurring 5,000 more suicides than normal. The facts are a little shoddy, and it does emphasize this rate is mostly among men, but there was a slight increase in suicide in American women. Now, I was nowhere near suicidal at any point (if after losing two family members I wasn’t, I don’t think I ever could be! ), but I certainly battled feelings of hopelessness and worthlessness, even though the job I had at the time wasn’t even something I really considered fulfilling. I was not passionate about typing things that I did not author! I really have had to remind myself that a job doesn’t magically bring about any instantaneous transformation for the better. In fact, it can often bring about more stress, anxiety, and other negative emotions (like complaining!). But, at times, I thought I would be just thankful to have coworkers to complain about (if it meant having money coming in and feeling more useful). But here I am over three months later and I have been striving to create meaning and structure my free-time. I will not lie and pretend depression doesn’t occasionally rear its catatonic pull (I have gotten a lot better acquainted with my TV), but, I have made a lot of headway in my mind with separating work identity and life identity. I have always prided myself on a good work ethic. I still have that. But I don’t want to jump into another job that I don’t like and that stresses me out more than the measly pay its worth. I’m one of the many unfortunate young American adults with a load of student loan debt and a major in a career field that I wouldn’t even want to work in if I could find jobs! (Maybe that’s not true, I did almost take a French teaching job with adults!). And I do get desperate when browsing Craigslist or aimlessly navigating LinkedIn and almost want to revert back to something like working retail at Starbucks (which really isn’t a bad job considering especially the benefits with part-time), but I resist. I am holding out for a job which probably realistically does not exist in this area. I’ve had a few leads lately, and I am somehow getting by without government assistance (which I would consider trying to get but I’m lazy and confused from moving? ), but it seems you have to apply for and follow up with 18 gigs to even get 2 interviews. And there will likely be problems with those jobs. But, back to my point. I should become a writer. Oh wait, that’s another issue. In conclusion, I am unemployed and starting to feel okay with having to accept it while it lasts. I have taken up a lot of activities, like writing, cooking, walking, and reading the newspaper in hopes of job posts and connecting with community. 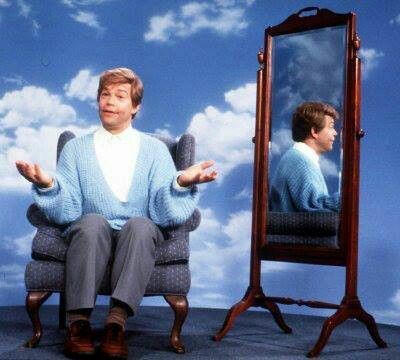 And I’m good enough, smart enough, and gosh darn it, people like me (enough to hire me). I hope! This entry was posted in Lettin' Loose!, Uncategorized. Bookmark the permalink.